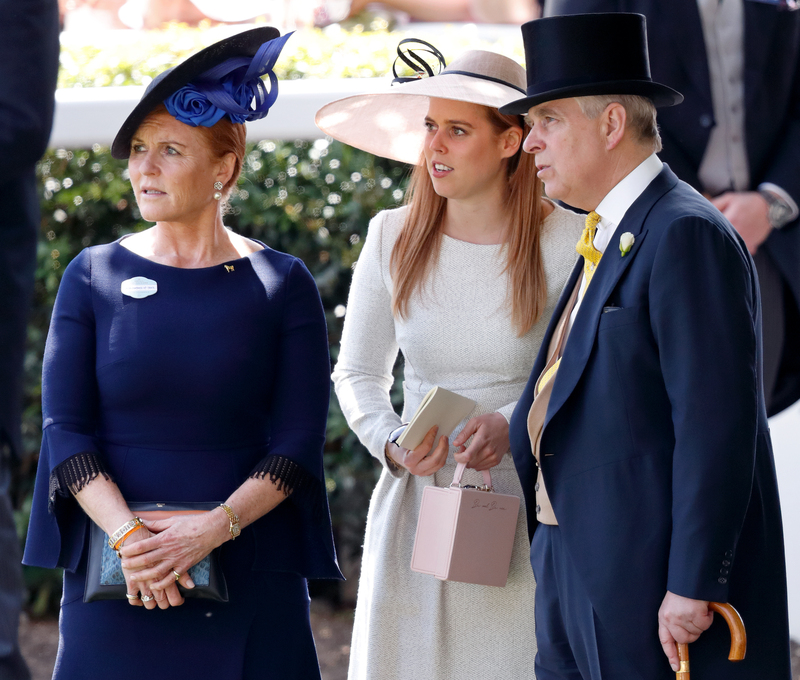 And on their daughter Princess Eugenie’s wedding day, Fergie proved that she still holds her ex-husband fondly in her heart, with a sweet, but very subtle, tribute to their own wedding day. She revealed that on Eugenie’s big day, she carried the same handbag that her mother, Susan Barrantes, had carried on Sarah’s own special day. And after uncovering the contents of the clutch many years later, Sarah was inspired for her own daughter’s wedding. Sarah’s dress, inspired by her own happy memories of being married to Prince Andrew, was especially designed for her by Emma Louise Design, a brand that’s actually local to Windsor, where Eugenie married. Many of Eugenie’s royal wedding party’s ensembles are now on display at Windsor Castle. The bride’s two wedding dresses are available for public view, as is Princess Beatrice’s Ralph & Russo dress and Jack Brooksbank’s suit.